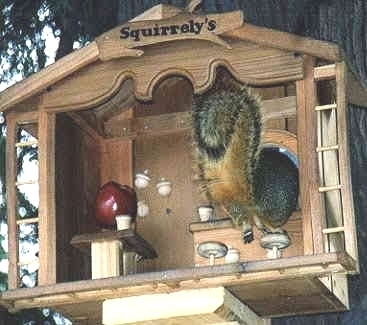 Portland Oregon is proud to announce its' opening of Squirrelys International Airport. Yes, that's right a squirrel airport. 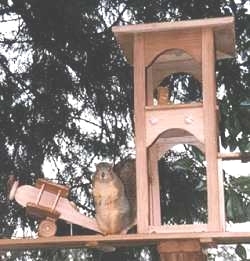 The squirrels of Oregon were tired of seeing pictures of flying squirrels and decided to do something about it. They have been saving they're nuts and commissioned me to build an airport and get them started in flying lessons. 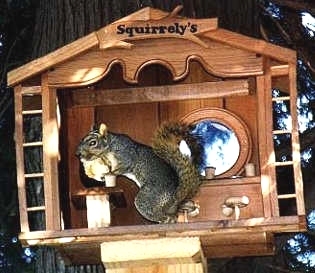 It has been strategically located between Squirrelys Bar and the Squirrelys Outhouse in case of emergency landings. This way they don't have to have on board restrooms and the pilot can fuel up at Squirrelys Bar prior to take off. This picture is the first day of operating the airport tower in which no crashes have occurred yet. It is located just a quarter mile south of Portland International Airport. This is one of the local squirrels sitting at the bar having some apple cider. Had to cut him off after he started yelling at me. There's nothing meaner than a squirrel that can't hold his squirrel juice. I think he said #*)%$#@*& if you do it again I'm gonna kick your *#!^%$*%.x3. 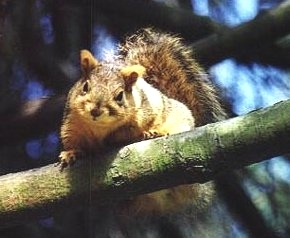 Lucky for me Monica Squirrelenski came along and cooled him off. She has a way of dealing with the rowdy's. As you have all probably heard by now is the retirement of Squirrel Jordan and it's a sad day for the S.B.A. (Squirrel Basketball Association ). This picture was taken a day after he announced his retirement. It looks like I'm going to have to send him to a squirrel rehabilitation center. He's sleeping off a hangover in this photo. Can anybody recommend a good rehab center? This is a staring contest that me and the squirrel are having. His name is Houdini. He disappears when the food is gone and instantly reappears when I put it out. I've spent hours trying to find his hideout, but have been unsuccessful to date.